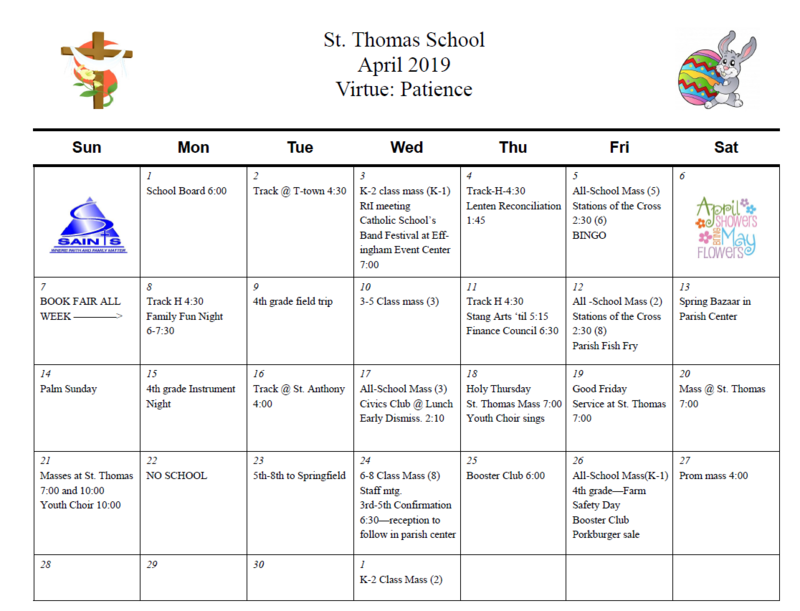 Here's a lot going on at St. Thomas School. Take a look at pictures from some of our activities. Monthly calendars are shown below. Use the button to view and print the calendar for the 2018-19 school year.